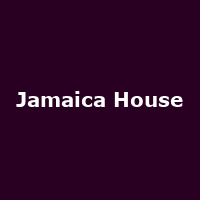 Jamaica House is a series of events marking the retirement of Jamaican running legend, Usain Bolt. The events took take place over the World Athletics Championships in London in 2017. The events featured Freddie McGregor, Luciano, Nesbeth, Twinkle Brothers, Natty, Gideon Family, Jay Shaka, Krishane, Melissa Steel, Kiko Bun, Da Beatfreaks, Nabiha, Moves, Afro B, DJ P Montanna, Mckareo, Finesse Forever, The Skints, Steel Pulse, Adrian Sherwood, Ziggy Marley, Jesse Royal, VP/Greensleeves Anniversary with OMI, Chris Martin, Queen Ifrika, Jah 9, Capital Letters, Reggae Regulars, Stylo G, Cadenza and Pyrnce Mini.